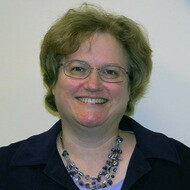 Kelli Timanus serves Children's Coordinator at Community of Faith. Having worked as a public school teacher and staff as well as a homeschool educator, she is a blessing to children of all ages. At CoF, Kelli is primarily responsible for coordinating programs and volunteers for children ages PreK to upper elementary school. A native of Minnesota, Kelli enjoys reading, learning new things and exploring the NOVA and DC area with her husband and son.